Originally known as 'Waldwiese' the first Führerhauptquartier (FHQ) located at Bruly-le-Pêche was renamed to 'Wolfsschlucht' by Hitler himself. It served as field HQ for the campaign against France. Later in 1940 the building of Wolfsschlucht 2 near Soissons began. It was intended to house the higher staffs and generals who would lead the invasion of England (Operation Seelöwe). However this campain never started and the site was visited by Hitler just one time on June 17 1944, when he had a meeting with fieldmarshalls Von Rundstedt and Rommel regarding a possible withdrawal of German forces in Normandy. The actual FHQ is located just north of Margival in the forests of 'Les Gostins' and 'Les Poltons'. Several Grossbunker were built here; huge fortified offices. Most of the bunkers are easily accessible and are in perfect condition with a lot of instructions remaining. They represent a beautiful mix of Atlantikwall and Westwall oriented designs in a very nice landscape. The area is also an important World War I battlefield and Hitler himself has fought only kilometers from the place which became his headquarters in World War 2. You will encounter a lot of cemeteries and monuments and one can recognize crater patterns in the woods. Also be aware of unexploded ammunition, which you can find mostly in the woods. Use these IGN Maps(Carte Randonée 1:25.000): Braine (2611 E) and Soissons (2611 O). We use the numbering of Flak batteries from the book "Wolfsschlucht 2, Autopsie eines Führershauptquartiers" by Pierre Rhode and Werner Sünkel. This 'Margival bible' was released in 1993 and today it is also digitally available. We often refer to this source. 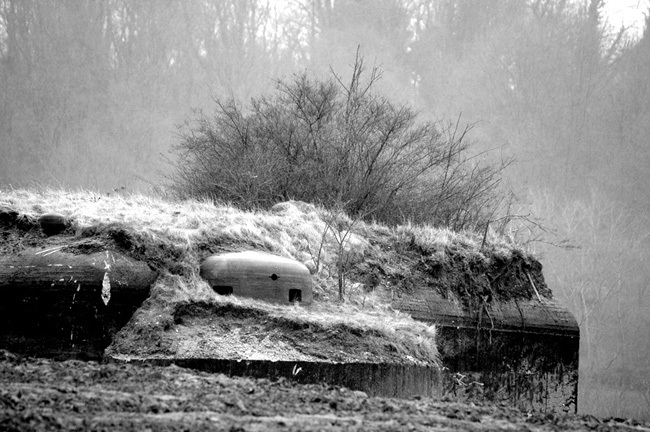 In 1992, Jörg Fuhrmeister wrote the small booklet "Wolfsschlucht 2, Ein Führerhauptquartier", which is less detailed but it contains very fine bunker plans by Robert Jurga. Today a group of locals renovated two bunkers in the Innenbereich and give tours along the big bunkers. One of the local designs for a Dreischartenturm protecting the inner headquarters.